Did you know that over half of all Americans take vitamins and supplements? Did you know that the majority of those vitamins have little to know actual benefit at all? Did you know that there are actually no rules or regulations surrounding the supplement industry and that the pills or capsules you take don’t even have to have the ingredients listed on the label actually in them? And the worst part is…that is all perfectly legal! Your ChiroHealth & Rehab of Chiropractor Fargo doctors provides education about health and nutritional supplements based on fact rather than fiction. Dr. Mason Orth has been passionate about nutrition since he was in 6th grade after he picked up his first set of weights and a copy of Muscle & Fitness Magazine. Since then, healthy eating, whole food nutrition and supplementation have been a passion for him and his team. Unlike so much of so-called health care today, at our clinic we still believe that providing proper nutrition to the body is essential to helping the body heal. Why do we believe that? Because all of research says it’s TRUE! Along with proper diet, and exercise your ChiroHealth & Rehab of Chiropractor Fargo doctors also know that the proper use of the right nutritional supplements is a critical part to restoring and maintaining your health. 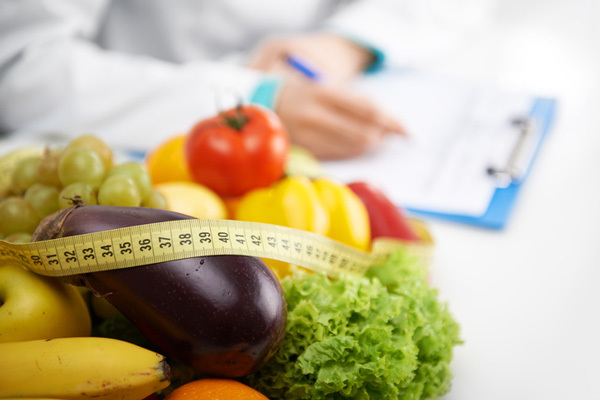 It is important to your health that you understand that even eating the best of diets in today’s fast paced, processed world can’t consistently meet all of your nutritional demands. That’s where the expertise and experience of our knowledgeable care team can help. High-quality whole food supplements loaded with micronutrients in their natural form fill our nutritional deficiency gaps that our daily diet doesn’t meet. Helping you to determine not only what supplements will actually be worth your time and investment to take but also exactly how much to take is what we excel at. Your chiropractor of Fargo and the team at ChiroHealth & Rehab understand that the food supplement industry is unregulated and most companies do not divulge how they make their products and if the content is even at a level that will be of benefit. It is because of the shenanigans in the supplement industry that your ChiroHealth & Rehab of Chiropractor Fargo doctors has created a nutrition and supplement program in order to help people like you make wise decisions on what supplements they should or shouldn’t take. Navigating the world of nutritional supplements can be very difficult, discouraging and disheartening especially when you don’t know where to get good accurate information on finding good-quality products. The problems with this are many. First of all the you have no idea if the product you’re buying even has the quantity of product in the pills that you’re going to take. For instance, you might buy a supplement to help your joints. The most common nutrient in those joint supplements is chondroitin and glucosamine. Well, there was a study done that looked at some of the top name brands of joint supplements. What the study was looking for was how many of the manufacturers and products actually had the amount of active ingredient inside each pill that was listed on the label. The researchers investigated supplements from top name brands that cost upwards of $70 a bottle all the way down to generic brands. What they found and what they published in their study was borderline SCANDALOUS! What your ChiroHealth & Rehab of Chiropractor Fargo doctors wants you to know is that the results of the study showed that more than half of the supplements did not even have 50% of the amount listed on the label! What I mean by that is the supplement may list 1000 mg of glucosamine on the label but in reality there was less than 500 mg in the pill! This means that not only are you paying for product you are getting but you are also not consuming the amount of supplement you thought you were. Therefore any beneficial effects that you would hope to achieve may not even happen. Even more alarming was the discovery that some of the worst results were in very popular nationally advertised name brand supplements. In fact some of the most expensive products had less than 30% of the active ingredient that the label claims to have. So this raises the question; if the active ingredient isn’t in the pill, then what exactly is? Well surprisingly most of the pills being consumed have large amounts of fillers such as cellulose, otherwise known as sawdust. 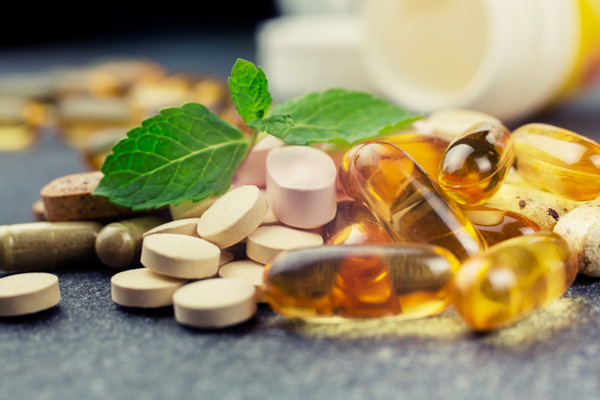 Another alarming reality of nutritional supplements and the nutritional supplement industry that your ChiroHealth & Rehab of Chiropractor Fargo doctors wants you to know is the fact that very commonly there are contaminants found in the supplements themselves. Believe it or not but there are also no regulations looking to make sure that supplements are not filled with things that are bad for us. Unfortunately, two of the most commonly consumed nutritional supplements on the market today are also two of the most contaminated supplements you can find. Both calcium supplements and fish oil supplements contain large amounts of contaminants such as heavy metals and chemical residues that are actually harmful to your body. And to make matters even worse, often times the supplement itself or the capsule that the supplement comes in is made of products originating from petroleum oil and can actually contain known carcinogenic agents that have been shown to cause cancer. As if that wasn’t enough, yet another problem exists with nutritional supplements that your ChiroHealth & Rehab of Chiropractor Fargo doctors wants you to know. That is whether or not the supplement is in a form that is actually available to the body. What I mean by that is, is your body able to actually absorb and use the supplement. Unfortunately, a large number of supplements on the market today are packaged in pills and capsules and sometimes even liquids in forms that the body is not even able to absorb and use efficiently. Believe it or not, but it is not uncommon for your ChiroHealth & Rehab of Chiropractor Fargo doctors to see supplements and pills on x-rays of patient’s low back. Yes! What this means is that the supplements that the person has taken in hopes of benefiting their health have traveled all the way through the digestive system to the large intestine where they are ready to be excreted by and passed through the body having never been broken down and absorbed. So essentially, you are taking the money you’re spending on supplements that you are hoping will benefit you and flushing them down the toilet. One of the other big challenges that your ChiroHealth & Rehab of Chiropractor Fargo doctors sees people struggle with is not knowing what supplements to take and in what quantities. Unfortunately a large amount of the supplements sold on the market have absolutely no beneficial effect on human health. However because of superior marketing efforts supplement companies are able to sell billions of dollars of supplements that have minimal to no beneficial effect on the people taking them. So, how exactly can you find supplements that are not only beneficial for you but are absorbed by the body and have the ingredients in them they say they do without being contaminated? The answer unfortunately is that it is very difficult to accomplish. In fact, the only way to have this done or to know is to have a chemical analysis done on each bottle and each product that you take. This of course is not realistic for the consumer. It is because of these challenges that your ChiroHealth & Rehab of Chiropractor Fargo doctors spent the last 20 years researching and investigating supplement companies and supplement products. We have investigated hundreds of supplements and companies and have compared that with the research we have showing what supplements are actually beneficial for human health. Your ChiroHealth & Rehab of Chiropractor Fargo doctors takes very seriously any recommendations we make that affect the health of you and your family. Our recommendations are based on the knowledge we have accumulated over almost 35 years and is based on the science and clinical research that is available to all healthcare providers around the world. As most people are aware, the foods that we eat in our western diets are lacking in very key nutrients that our bodies absolutely need not only to help prevent disease but to have superior health and vitality. It is almost as difficult to obtain vital nutrients in your diet as it is to find supplements that are worth spending the money to put in your body. This is why your ChiroHealth & Rehab of Chiropractor Fargo doctors offers a complete and comprehensive Nutritional Supplement Review and supplement program as a free benefit of being a patient in our clinic. If you have supplements that you are currently taking or giving to your family you must do the research on the products. Or, you can take the shortcut and check with one of our care team specialist who has already done the research for you. Over the years, your ChiroHealth & Rehab of Chiropractor Fargo doctors has accumulated a mass of information on various supplements and supplement companies. As part of our service to the community we offer a free nutritional supplement screening in which we will compare and research the quality of the supplement you are consuming. Your ChiroHealth & Rehab of Chiropractor Fargo doctors offers nutrition and supplement counseling to people wanting to restore their health and protect the health they have. So, if you are confused but all of the claims by supplement companies or, if you’ve ever wondered if your supplement is even doing anything or if you simply want to make sure that the supplements you’re taking are safe for you and your family, give us a call at 701-451-9098 TODAY! Simply ask to make an appointment for your free supplement screening and we would be happy to help take the mystery out of the world of supplements for you as well as help you ensure that what you are putting in yours and your family’s bodies is effective, cost efficient and most of all safe. We look forward to meeting you and helping you move you and your family to a place of superior health and vitality!